The BBC has a worldwide reputation for being unbiased and for providing fair and balanced journalism in the form of news and documentaries of a very high standard. The respected reputation is currently being tarnished somewhat recently, thanks to the show Panorama, which seems intent on reporting opinion as fact and showing the kind of sensationalist reporting offered by Fox News or the Daily Mail and not our beloved BBC. The golden rule in of any form of journalism is to understand your subject matter and do your research. These simple rules will allow you write a fair and balanced article and show the story from both viewpoints. After all, there are two sides to every story as we all know. As the ‘Panorama: Addicted to Games’ report began it was clear that the reporter Raphael Rowe had done neither of these and instead seemed intent on reporting his own opinions and prejudices as fact. He looks shocked and bewildered that people actually queued up to buy a game on release night and made several gaffs along the way such as “now we’re going to interview the maker of Laura Croft” and “it’s so surprising how far things have some since that ‘ping pong’ game”. This quickly showed any viewer with more than a passing interest in games that a balanced report was not on the agenda. The biggest shock for me personally was seeing ex-TIMJ Video Editor, Joe Staley, on-screen who seemed to be setup as the pantomime villain. His speech edited to only say he was kicked out of university due to a gaming addiction and that people should put down their controllers, ring their mate and go and get smashed instead. This is a very odd message for a programme that has previously reported the evils of binge drinking wrecking teenagers lives in modern Britain. You could almost hear gamers across the land shouting at their TV and hammering away at their keyboard on Twitter in disbelief. 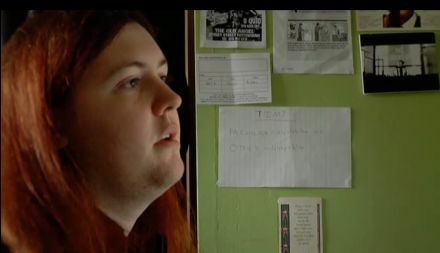 Although I have not spoken to Joe personally about the show, I know from his Twitter and Facebook pages that he is just as angry about how the show was edited to make him look and how gamers were portrayed in general, which means the BBC only actually found two people addicted to games in the UK. If we look at the Panorama issues discussed over the last 12 months they seem to be more concerned with scare-mongering the nation’s misinformed parents. So far this year we have had “Your kids are binge drinking when out”, if they stay indoors its “Your kids are downloading illegal music, you will go to court and lose your house” and now “Your kids are addicted to evil games”. If the average misinformed parent had watched these programmes back to back they would be left baffled on what their children should be allowed to do. Although it was admitted that there’s no actual evidence that gaming can cause addiction, and as they were only able to find a handful of people in the UK who could fit their agenda, it was time to move to South Korea. This is South Korea where evil, super-fast broadband was illustrated by a map that looked like it was infecting the country like the T-Virus in Resident Evil, and implying that its a vision of our future too. Not scary enough? 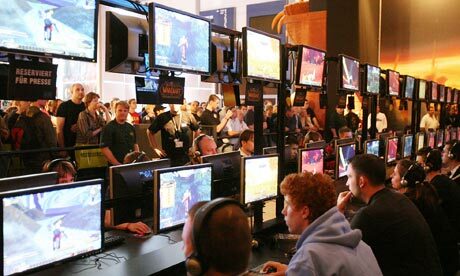 Okay, throw in some lab rats juxtaposed with hundreds of gamers playing side by side still not scary enough? Okay, hit us with “South Korea child starves as parents raise virtual baby”. However, at the end of the “gamers let their child starve” story, we were told they were “mentally not that stable, depressed and had a low IQ”. Am I naïve in thinking that these very serious symptoms were the actual cause behind the incident and to trivialise in this way by blaming games for a quick headline is actually brushing them under the carpet? The fact that some children can remain in their room playing a game for 16 hours straight without any interaction from their family, because their parents are too busy or simply sat like zombies staring at the TV screen show more about the problems faced in British society today. Reading around on Twitter, the show drew many a complaint from gamers on the subject, and the most prominent for me was @MartAllen who tweeted: “Sadly most parents won’t have seen Panorma as they’d have been too busy fuelling their addiction to Coronation Street”. Ignore the fact that Corrie wasn’t on at that time, you can totally see the point he was making, at how hypocritical some people can be. The web was full of many other people, returning from work to get horrified calls from their mothers saying “I have just watched Panorama and those games you play are addictive and can cause so many problems”, which just goes to show how people believe everything they see. Unbelievable really. In the end, the biggest loser from this thirty-minute documentary was the BBC itself for broadcasting a very thinly researched, shockingly one-sided argument. No doubt one of the many reasons that the under thirties are beginning to turn their back on TV and the print media.